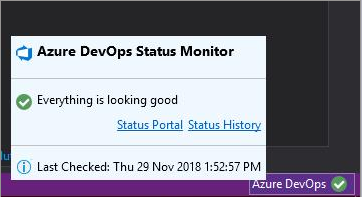 The simple extension quietly sits in the Visual Studio status bar displaying Azure DevOps Service status. You can click on the icon on the Visual Studio status bar to view more details. You can also jump directly to Status Portal or Status History from the popup tooltip. 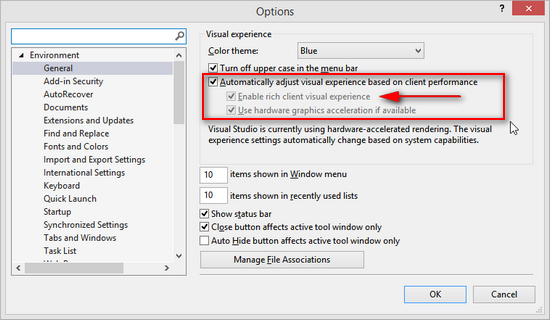 By default it fetches the status every 5 minutes, but you can configure it under Tools | Options in Visual Studio. Please raise a issue and I will try my best to address and fix the issue. 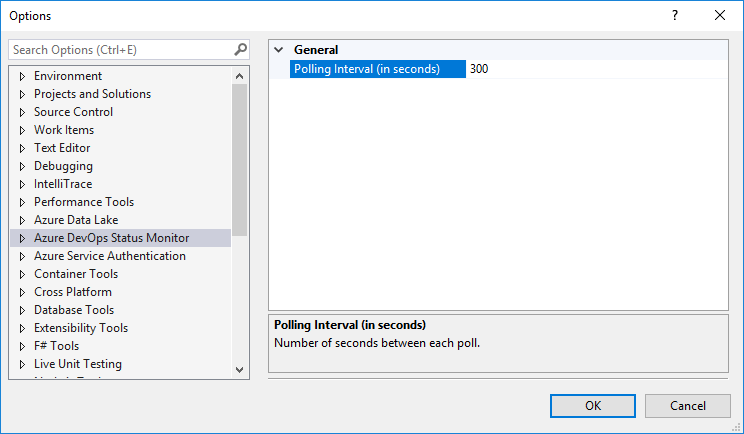 Load the package asynchronously, resulting in Visual Studio to load faster. Thanks to @stebueh, the parsing logic is now fixed and status is updated correctly. Changed the name of extension to VSTS Status Inspector. Handle exceptions when unable to connect to support page.